We are pleased to announce an exciting new grant fund for Baltimore non-profits to preserve historic places and even more pleased to announce that we are now accepting applications. Take a look at the grant guidelines and then submit a nomination by April 12, 2019. 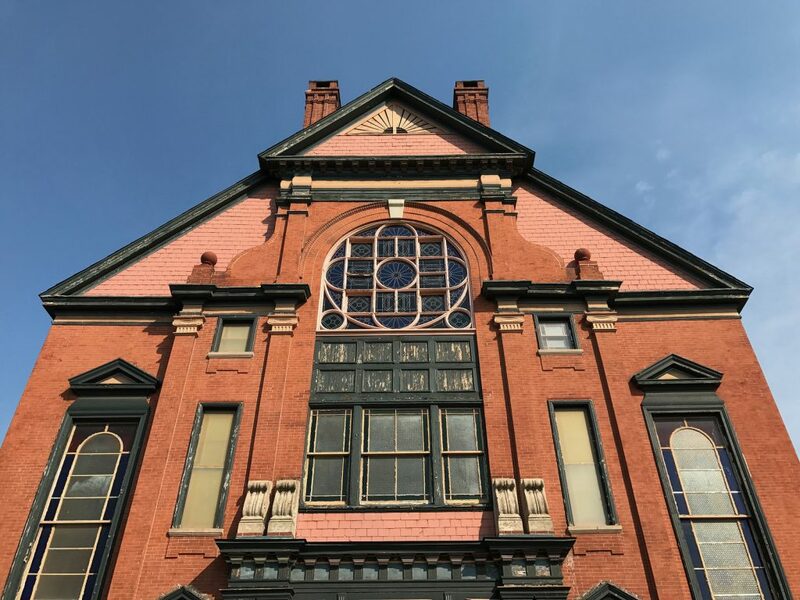 The Baltimore Historic Preservation Fund is a partnership between Baltimore Heritage, the Maryland Historical Trust, Preservation Maryland, and the Baltimore Commission for Historical and Architectural Preservation. 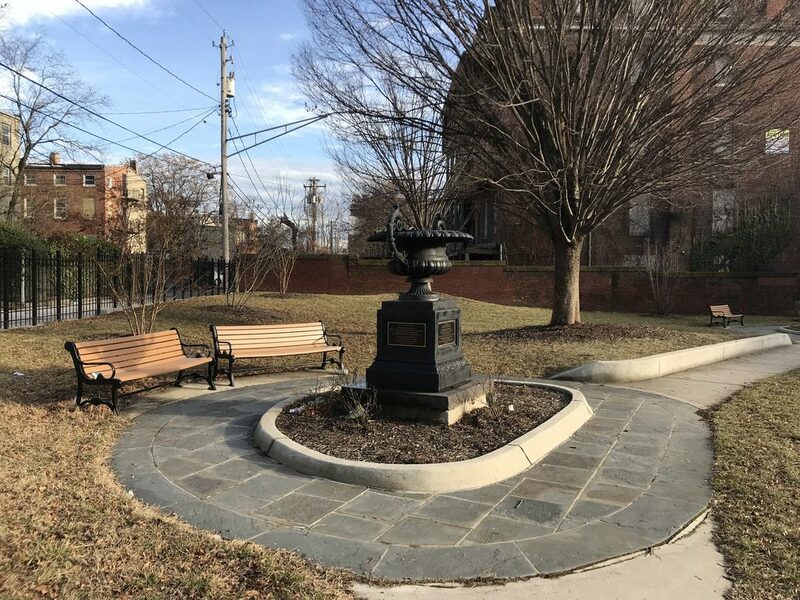 Our goal is provide direct assistance for capital and non-capital projects that advance efforts to preserve historically significant places in Baltimore City. Any tax-exempt organizations doing historic preservation work in Baltimore City is eligible to apply. Grant requests between $1,000 and $10,000 will be the most competitive. Projects eligible for funding include rehabilitation work, preparation of National Register nominations, and education, research, and planning efforts related to historic preservation projects. The Baltimore City Historic Preservation Fund has a limited amount of money to give away, but we are eager to help support good work in Baltimore. If you have any questions, please contact Baltimore Heritage director Johns Hopkins at 410-332-9992 or hopkins@baltimoreheritage.org. Martick’s Restaurant Francais on Mulberry Street is a place of fond memories where Baltimore enjoyed fine food, lively music, and art for nearly a century. After a decade of vacancy, the former restaurant is now threatened by a new development project. 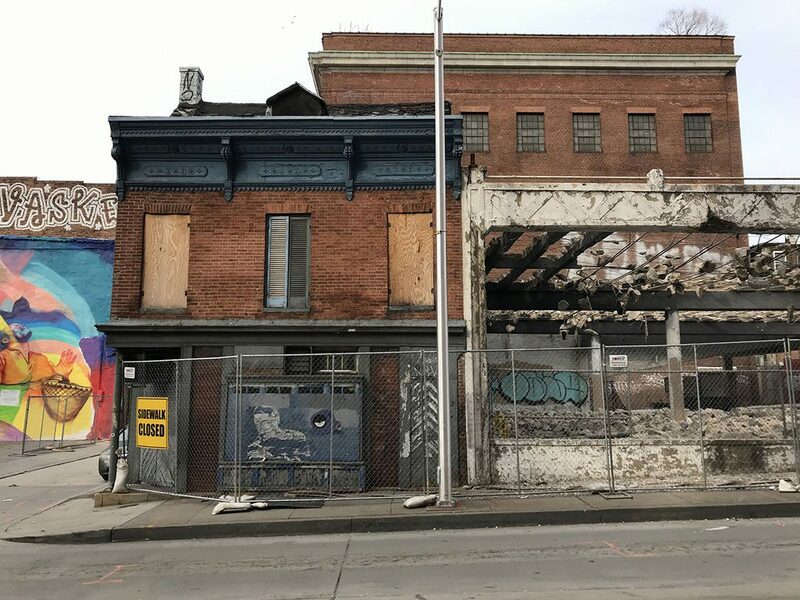 While the developer, the Vituvius Development Company, has proposed reusing some buildings on the block, they are seeking to tear down Martick’s citing the difficulty of reusing the deteriorated structure. 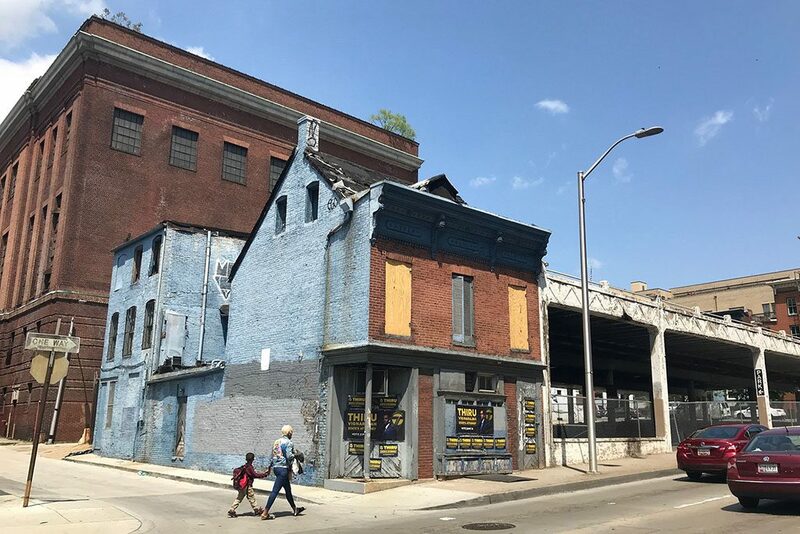 Yesterday afternoon, Baltimore’s Commission for Historical and Architectural Preservation (CHAP) voted unanimously to recognize the buildings importance to the local historic district—but the building may still be at risk. The once-famous restaurant started in 1917 as a small grocery store established by Harry and Florence Martick, both Jewish Polish immigrants. The Federal style corner building is even older—dating back to at least 1852—and the Martick family continued to live above the shop raising a family of five children. Following the end of Prohibition, the store (which may have already been operating as an illegal speakeasy) turned into a bar later known as Martick’s Tyson Street Tavern. After Harry’s death in the the 1940s, Florence’s five children pitched in to keep the business going. 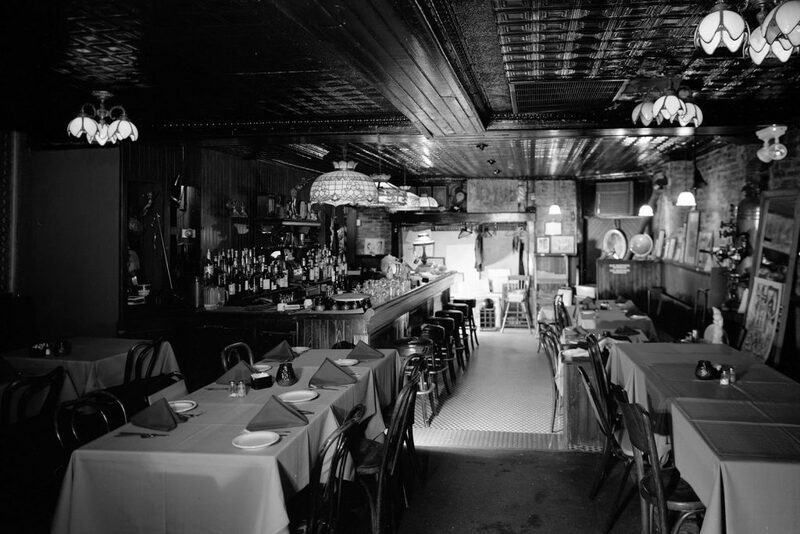 Morris Martick turned the family bar into a unique institution reportedly attracting what journalist Alan Feiler called “a mix of artists, musicians, journalists, working Joes and assorted self-styled bohemians, beats and hipsters” in the 1940s and 1950s. Dining room at Martick’s, 2000 November. Photo by James W. Rosenthal (Library of Congress/HABS). But, by the 1960s, Morris Martrick was ready for a change. After a failed run for state legislature, Morris traveled to France where he studied French cooking and attracted a chef. Returning to Baltimore, he renovated and re-opened the bar as Martick’s Restaurant Francais in 1970. The restaurant’s reputation grew, eventually attracting celebrity guests that include Baltimore-born filmmaker John Waters, actor Nicolas Cage and actress Barbara Hershey. The restaurant closed in 2008 and Morris Martrick passed away in 2011 at eighty-eight years old. Regrettably, the building has sat vacant ever since the restaurant closed. After a proposal for redeveloping the building fell through last year, the property sold to Vituvius Development Company that has submitted a plan for the development of the entire block for a six-story apartment building with storefronts on the first floor and about one hundred apartments on the upper stories. While the proposal preserves and incorporates the historic buildings along Park Avenue, as well as a BG&E substation on the site, the developer is seeking the demolition of Martick’s as part of their plan. The adjoining parking lot was already torn down late last year in anticipation of the project. Demolition of parking garage next to Martick’s. Photograph by Eli Pousson, 2018 December 5. CHAP’s vote yesterday afternoon is the first step of a two-step process for property owners seeking to tear down buildings inside local historic districts. The developer could reconsider their plan and find a way to incorporate Martick’s into their proposal—or return to CHAP in the next few months to ask the commission to allow demolition under a “financial hardship” provision. As Ed Gunts reported in the Baltimore Fishbowl, the developer has cited concerns about the feasibility of redevelopment due to the “immense deterioration of the structure” over the past decade. Baltimore Heritage is urging the developer to recognize Martick’s Restaurant Francais as a unique local landmark and reconsider their plans for demolition. We welcome new investment in long vacant buildings around Market Center but we also believe redevelopment can benefit from reusing historic buildings wherever possible. You can join us in supporting the preservation of the former Martick’s Restaurant by emailing Stacy Montgomery, CHAP planner, at stacy.montgomery@baltimorecity.gov to share your support for the building’s preservation. Our micro-grant give-away is back for a third year and we’re looking for your ideas. Are you helping restore a community park? Planning a neighborhood tour? Or getting ready to tackle a hands-on preservation project? Share your project idea by Thursday, September 13 and you’ll have a chance at being one of the six projects competing for micro-grants during our preservation pitch party at the historic Orchard Street Church on Tuesday, October 2. The pitch party gives each of the six finalists just three minutes to make a pitch for why they deserve one of four micro-grants. The crowd votes and the four projects with the most support win one of two $500 grants or two $250 grants. We know the modest award may not be enough to complete an entire project. But we also know even a little help can go a long way to starting something new or sustaining an existing preservation program. You do not need to be an incorporated nonprofit or formal community organization to apply. Individuals and informal groups are welcome to submit ideas! If you have any questions, please get in touch with me at hopkins@baltimoreheritage.org or 410-332-9992. 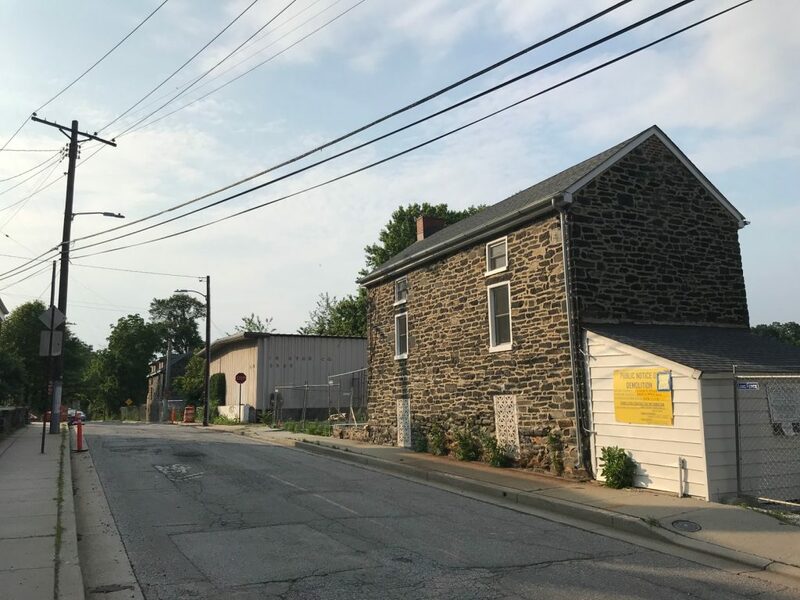 You may have seen the news in the Baltimore Brew or the Baltimore Fishbowl—a local developer is seeking to demolish two of Woodberry's early nineteenth century mill workers' houses to make way for a new apartment building known as Woodberry Station Apartments. This is just one of several major changes under consideration for the neighborhood. The new owners of Clipper Mill are considering a major development for the Tractor Building—a WWI-era machine shop that has housed a parking lot for the last several years. Update – April 13, 2018: The March 8 auction was cancelled. The auction was rescheduled for Thursday, May 3 at 12:00 p.m. 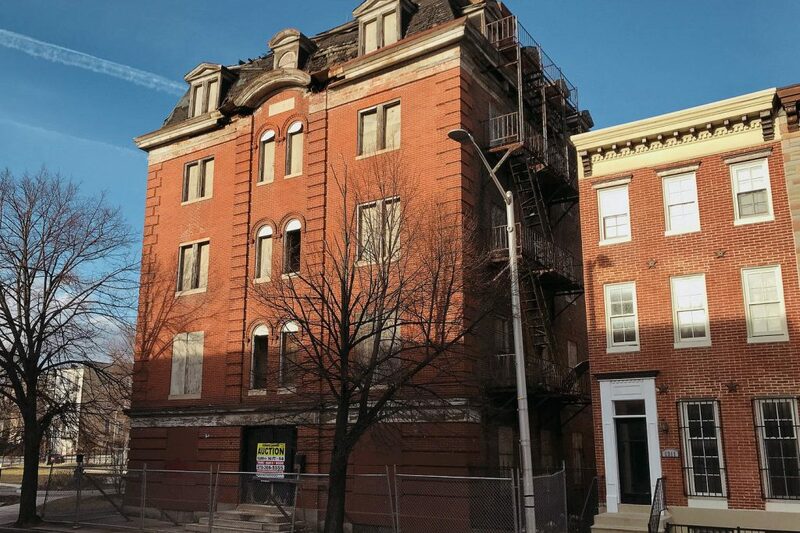 The former Home of the Friendless, an 1870 orphanage located at 1313 Druid Hill Avenue in Upton, is up for sale in a foreclosure auction scheduled for Thursday, May 3 at 12:00 p.m. Two years ago, Baltimore Housing awarded the building to local developer AZ Group through the Vacants to Value Surplus Property Sale. 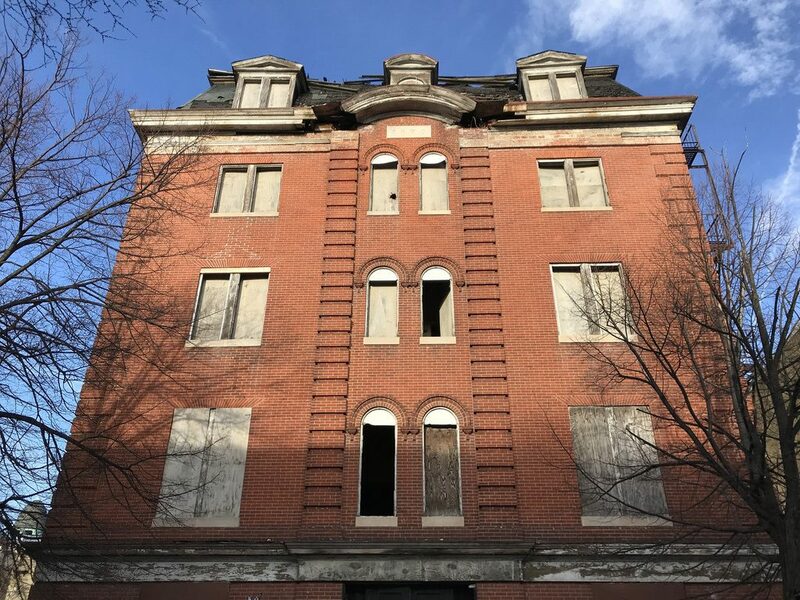 Unfortunately, while the building was approved for state historic tax credits last year, the plan to convert the 13,300-square-foot building into seventeen apartments never found the financing required for rehabilitation work to begin. With this new sale, we’re hoping the building finds a new developer that recognizes the importance of this West Baltimore landmark and find a way to bring it back to life. Learn more about the auction by Melnick Auctioneers or see photographs of the Home of the Friendless on Flickr. 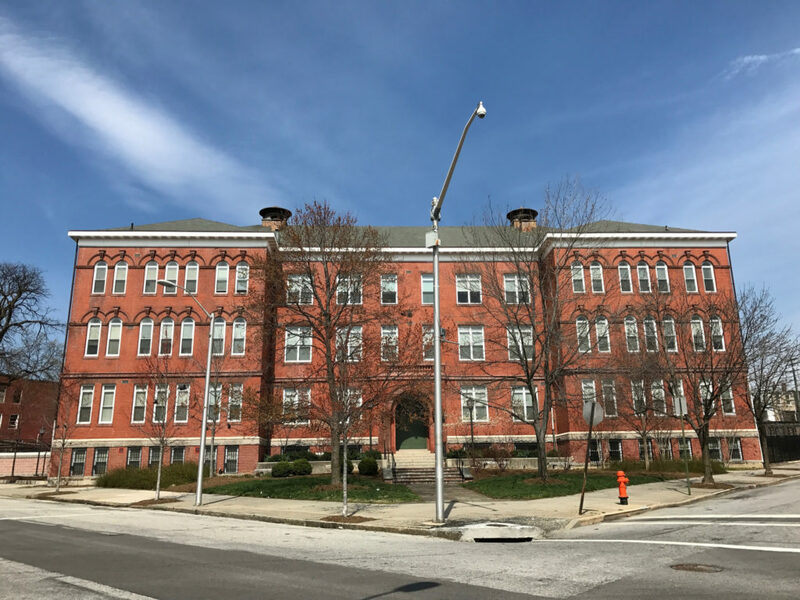 You can read about the history of the building in the National Register landmark nomination (PDF) by Fred Shoken or our brief Explore Baltimore Heritage story.